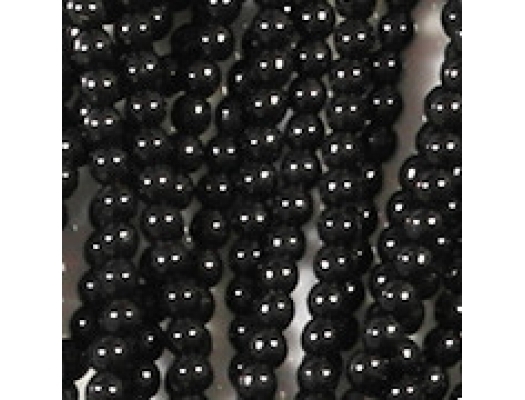 Defects: I looked at the beads with a magnifying glass, and they appear to be in good shape. 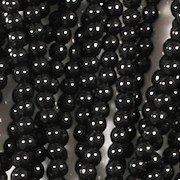 Comments: Up until now I haven't carried many 3mm beads. 4mm seemed small enough. 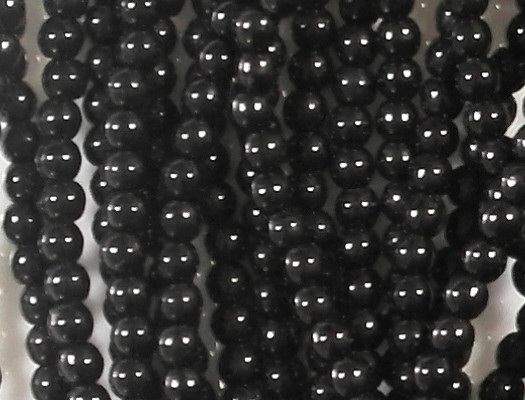 However, I was thinking back to the 1980's when I was making jewelry and used 3mm gold beads as spacers between 8mm beads, so I decided that I should start stocking 3mm beads. 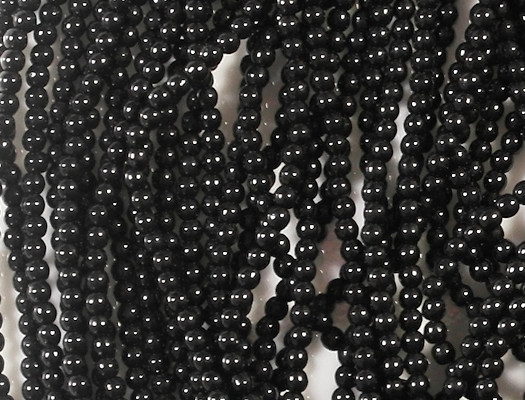 Unfortunately, my picture isn't very good because the lights put two big bright spots on every bead. 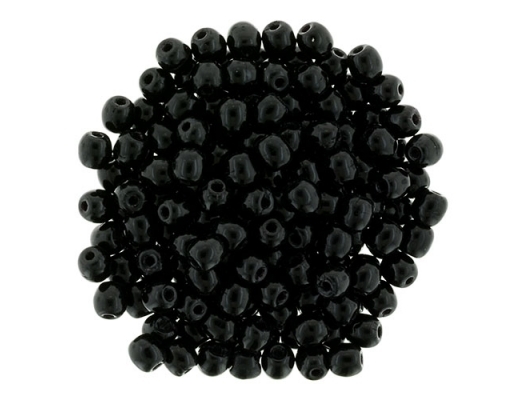 Because of that, I am including the supplier's picture. 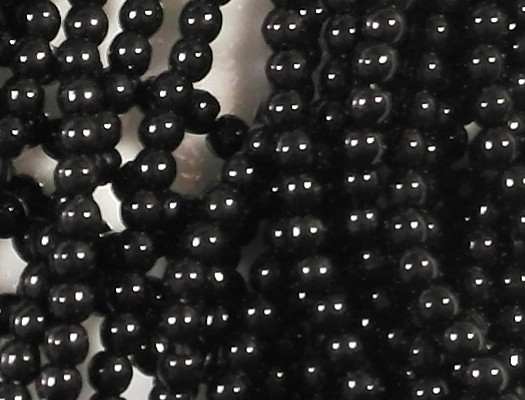 Also, depending on how bright you keep your monitor, the beads may look like a charcoal gray in the picture, but they are definitely jet black.